Eighty-eight percent of customer contact leaders expect automation to improve agent workflow or elevate agent performance. What will it take to make that expectation a reality? This report has the answers. 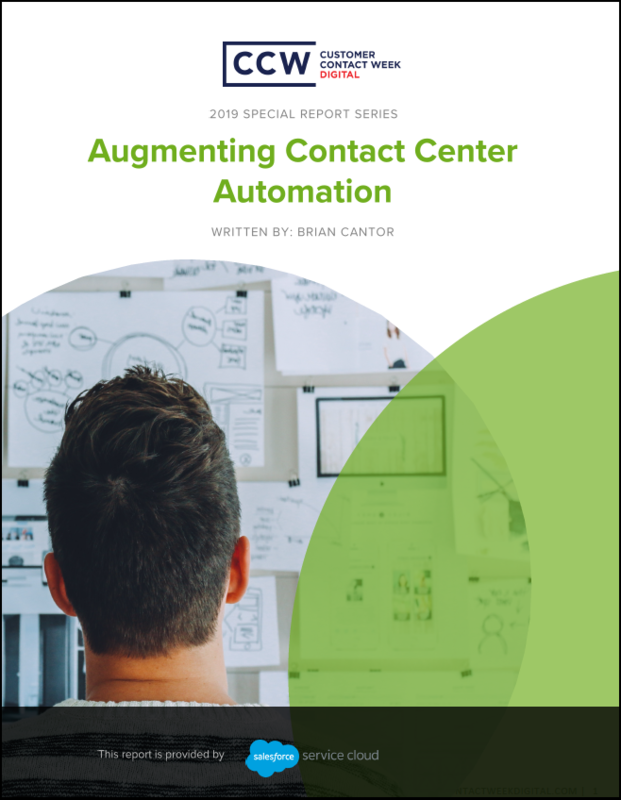 It reveals how to reap the rewards of automation’s most significant, most exciting promise: augmenting the contact center - and the agents who work inside. The #1 misconception about customer experience automation technology. 8 facts that confirm why automation is so valuable to the customer experience. 7 reasons automation is a quick way to boost the agent experience. 6 biggest AI and automation opportunities. 13 game changing automation use cases.